This motion picture is a roller coaster of nonstop action, and tells a tale of greed, corruption, lust, and violence. The film portrays the story of a Ray, a struggling photographer who is inching closer and closer to giving up on the passion he tried to turn into a career. However, the flame under his dream is reignited after he discovers a camera that has unbelievable powers. This camera that Ray has found has the capability of predicting future events every time the shutter sounds. Ray uses his new tool to his sizable advantage, picking winning lottery numbers and winning racehorses. 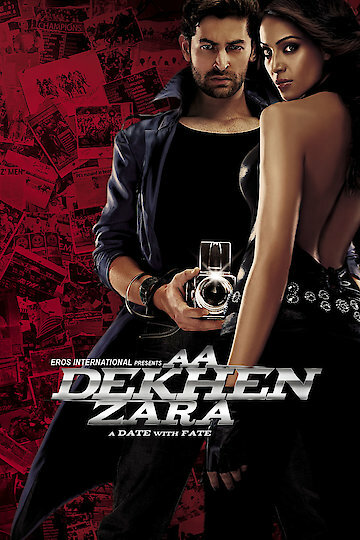 Aa Dekhen Zara is currently available to watch and stream, download, buy on demand at Amazon Prime, Google Play, iTunes, YouTube VOD online.